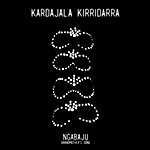 Kardajala Kirridarra translates to ‘Sandhill Women.’ Kardajala is the name of the mysterious bush woman from the sand hills behind the community of Malinja, NT. 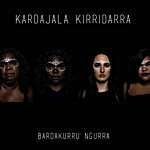 Kardajala Kirridarra are an all-female band from the communities of Marlinja and Kulumindini (Elliott). They combine contemporary with traditional styles and sing in both Mudburra and English. Band members: Eleanor Dixon (songwriter and vocalist), Beatrice Lewis (vocalist, multi-instrumentalist and electronic producer), Janey ‘Namija’ Dixon (translator, story-teller, poet), Kayla Jackson (rapper). 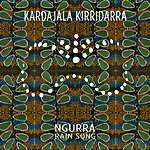 Kardajala Kirridarra feature sounds from the surrounding lands, such as seed pods, thunders storms and clap sticks. They are the first all-female act to perform at the Bush Bands Bash.